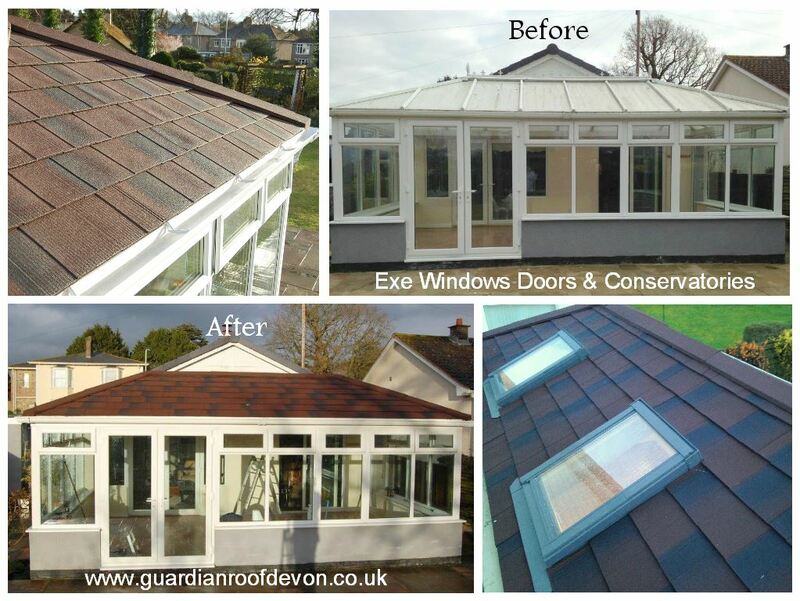 One of our recent installations was in Honiton, Devon. 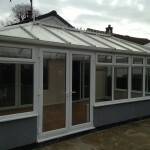 A large seven metre Georgian style conservatory that was to be replaced with a Guardian Warm Roof System. 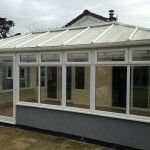 The existing conservatory had an old polycarbonate roof which had deteriorated and become useless and unsightly. 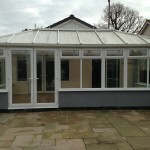 The customer wanted more use from their conservatory so opted for this highly insulated solid roof replacement. 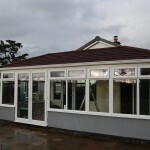 As the conservatory is a considerable size, there were many additional options to choose from such as roof windows, lights and interior decoration. 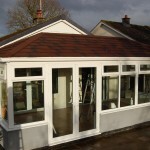 The customer chose the Metrolite tiles in Burnt Umber and Velux windows for extra light. They also chose the plastered interior so they could paint and decorate as they pleased. 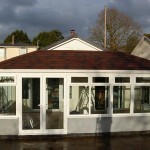 This roof was installed from start to finish in 4 days with minimal disruption. As you can see from the pictures it has made a huge difference to the conservatory not just visually but in energy efficiency and comfort. The room can be used for so much more now as it is more like an extension. 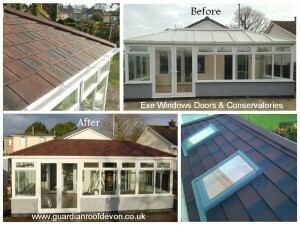 Posted in Case Studies and tagged Conservatory Repairs Exeter, Conservatory Repairs Exmouth, Conservatory Repairs Honiton, Guardian Tiled Conservatory Roofs, Revive Conservatory Devon, Tiled Roof Devon.